The planning process begins with a detailed discussion between the credit union management team and our facilitator. This discussion helps us understand what the credit union hopes to achieve in their planning process. At this meeting, we may ask the credit union to assemble certain information for the planning group and for our facilitator. We will provide each participant a Pre-Work Handbook in advance of the session. This Pre-Work Handbook will contain some of the information your management team accumulated and will likely include charts and graphs that we have prepared and analyzed with your assistance. The Pre-Work Handbook includes space for the participants to write their ideas and concerns regarding the credit union prior to coming to the planning session. In the first session with the board and senior management, we will review critical information about your credit union and other credit unions in your competitive market. 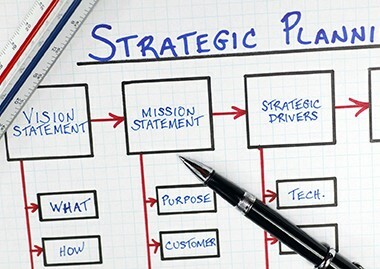 We then discuss and analyze the information to gather strategic ideas during the session. What are the trends and uncertainties we are facing? What attracts members to do business with us today? After the board and senior management team set the direction, we will meet with the leadership team to set the clear Action Plans to achieve that direction. This will be a two-day process including all members of the leadership team. At the conclusion of the sessions, TEAM Resources will provide a written plan for the coming one to five year period. This plan will consist of a set of Objectives and Goals that will help propel the credit union forward. These Objectives and Goals will be clearly written, pertinent, contain specific deadlines and name the employees responsible to achieve the Goals. The Objectives and Goals will be reduced to Action Plans. 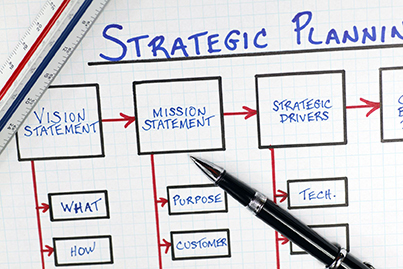 Action Plans bring the Objectives and Goals to a level of even greater detail.